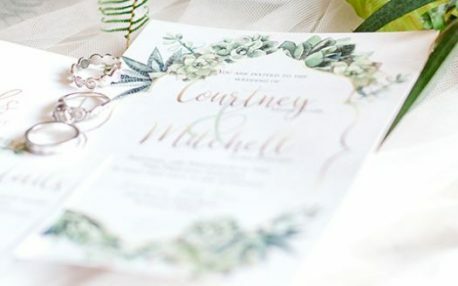 Wedding invitations can seem pretty simple, but there’s a lot of thought that should go into your perfect invitation. First, it’s the couple & wedding! That’s easy, right? Some things to think about, do you want your full name including your middle name or keep it short and sweet? Now onto the date and time. The time should be the exact time, you do not want guests to arrive too early. Most guests already arrive 15-30 minutes before the event time stated on the invitation, so bumping up the time could have guests waiting over an hour for the wedding to start! Here are some examples for more of a casual vs formal wedding. 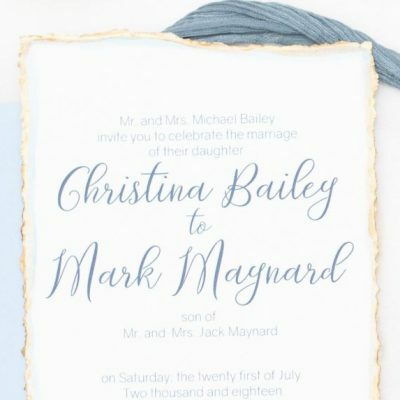 If you are having a reception at the same location as your ceremony, you can add a small detail at the bottom of your invitation. Some wording could be “reception to follow” or something more fun “dinner, dancing & cake to follow!”. If you are having a reception at a different location, a reception/detail insert card would be best for those details! You’re dreaming about it right now, aren’t you? Your perfect venue, with the perfect friends and family, marrying your perfect person! It wouldn’t be complete without that perfect invitation! 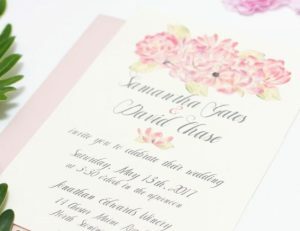 Invitations are the first glimpse of your wedding that the guests will see, they need to portray your perfect day! Now onto the more complicated detail, the introduction of the invitation. There are endless ways to invite your guests! Are you and your fiance paying for the wedding? Just your parents? Your fiance’s parents? Or maybe both of your parents? 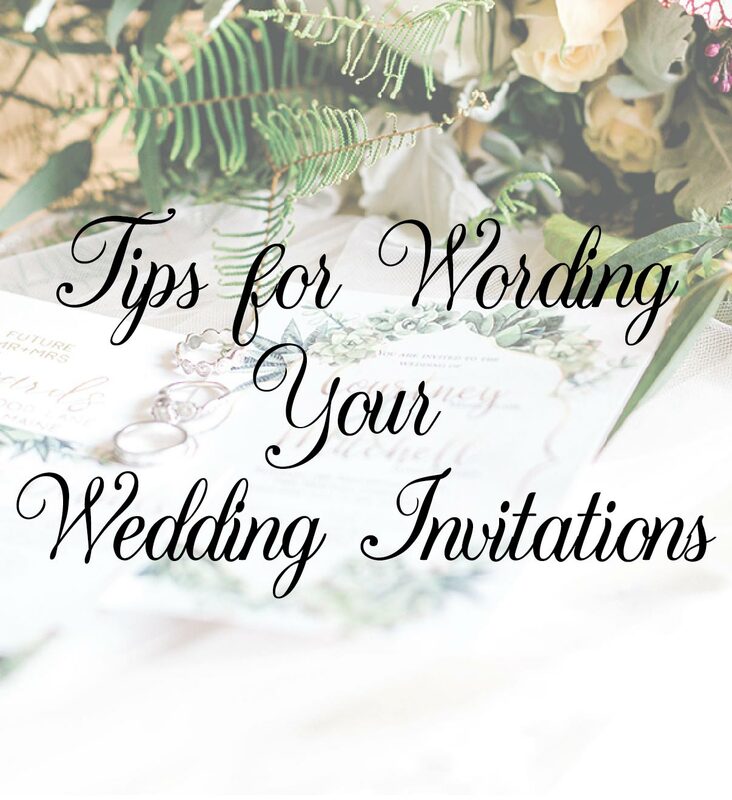 Whoever is hosting the wedding, wording can be key. I’ve made figuring it out easy! I have separated different wording ideas for your wedding invitations under who would be hosting. 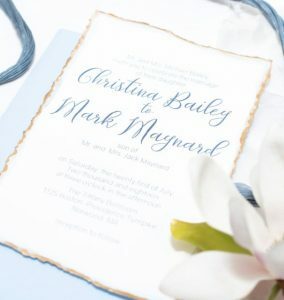 Are you and your Fiance hosting/paying for your wedding with no help from family? Are you more traditional and the Brides parents are hosting? Are the parents of the Groom hosting? Are both of your parents paying for your wedding? Maybe you and your fiance are paying with some help from your parents or family?